The 2,052-passenger Carnival Inspiration has launched year-round short cruises from Long Beach, Calif. Carnival is offering a new choice on this popular itinerary which encompasses three-day cruises departing Fridays to Ensenada and four-day cruises departing Mondays to Ensenada and Catalina Island. 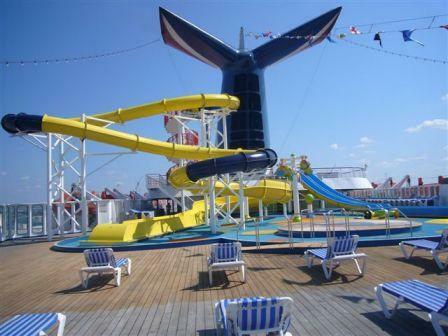 Previously, this itinerary was operated by the Carnival Paradise, which has been redeployed to Tampa. The 70,000-ton Inspiration underwent an extensive multi-million-dollar refurbishment as part of the line’s “Evolutions of Fun” enhancement program and includes such innovations as a WaterWorks aqua park (with water slide, racing slides and a water spray area), a Serenity adults-only retreat and a tropical-themed resort-style main pool area. Carnival Inspiration also has a nine-hole miniature golf course, a 1,080-square-metre spa, a jogging track, and spacious facilities and supervised programming for children in three age groups. First all inclusive resort in Florida! Good things happen to those who plan ahead!